In August 2015 we are featuring the following teas for our tea subscribers. We have Monkey Picked Oolong, Bi Luo Chun, Mist Valley First Flush and Mao Jian. Mixed: Monkey Picked Oolong and Black Mao Jian. Welcome to another month of Curious Tea subscriptions! We had an exciting time selecting these fantastic teas to share with you. We hope you will enjoy our selection, and to help you along with the tasting, here is some further information on all teas featured in our August Curious Tea boxes. Monkey Picked Oolong is a top grade oolong from Fujian Province of China. 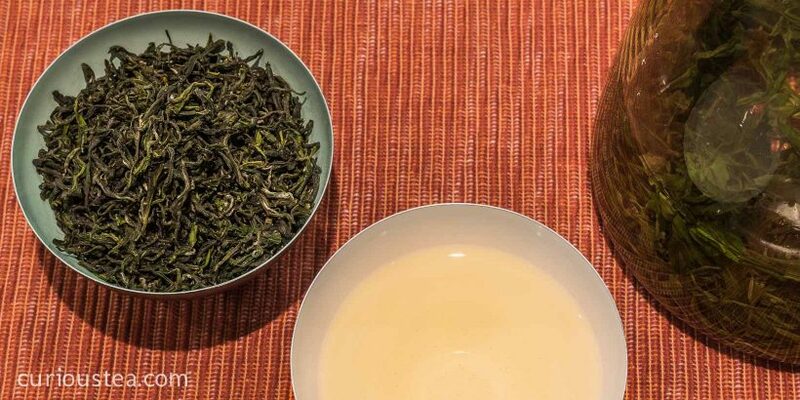 The leaves of this tea are hand plucked from wild tea trees, resulting in a somewhat different style of oolong tea. As the wild tea trees tend to grow on steep slopes and in harsh conditions, their leaves tend to grow slower and have a more concentrated flavour. 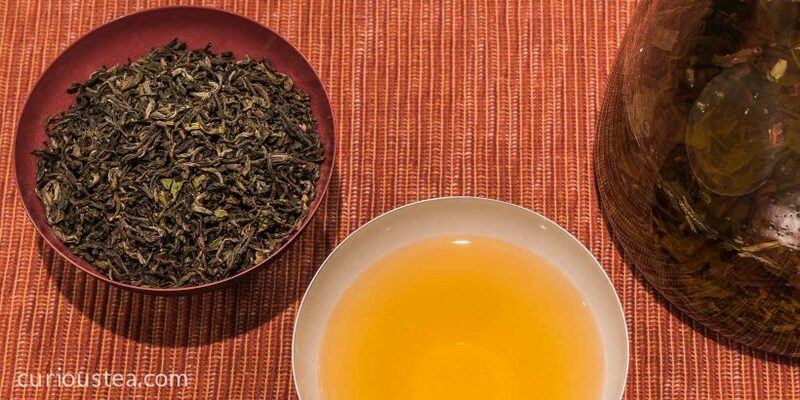 The name for this oolong ‘Monkey Picked’ nowadays simply refers to the quality and style of the tea – i.e. a top grade lightly oxidised oolong tea normally plucked from wild tea trees. However there are numerous legends around that explain how this tea got its name originally. 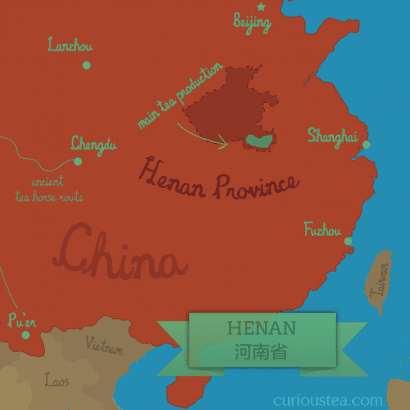 One states that when Europeans first came to China, the Chinese pretended that the tea was picked by monkeys in order to maintain secrecy around tea production – and the name stuck from there on. Another Chinese legend explains that monkeys indeed were used to pluck the tea leaves for their owners. They were either trained to climb up wild tea trees to pick the best tea branches from the very top or ‘encouraged’ by sending them up the trees, attached to chains, and throwing sticks at them. The monkey would then retaliate by breaking off branches of the tea tree and throwing them back at their owners. 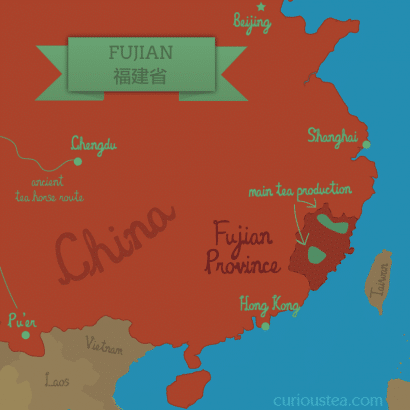 In either case, as with most teas from China, the origin of the name is somewhat elusive and the modern reality of tea production is very different. In the case of this top grade oolong, current manufacture only involves careful hand plucking of wild tea trees by humans. The resulting tea is what we decided to select for our August Light and Mixed boxes. 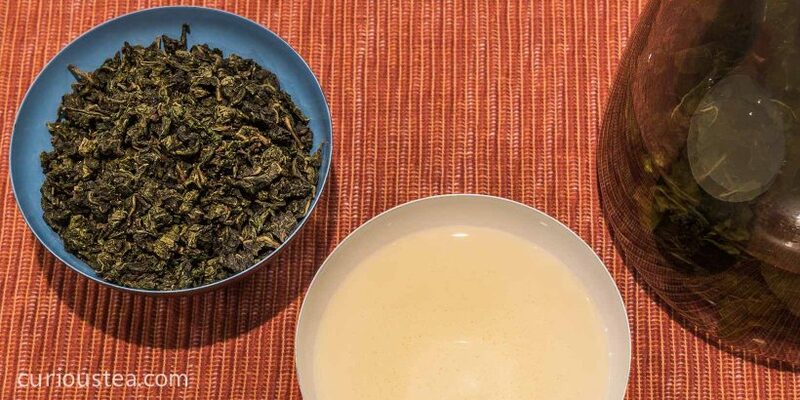 When brewed, the tightly rolled leaves open up and you can see whole large dark green leaves in your pot that are used to make this lovely oolong. The liquor is bright with a very refreshing floral and slightly milky buttery taste. A very smooth tea that is full of flavour and aroma and will keep you coming back for more. This tea is best brewed at 80°C for 2-5 minutes according to your taste. It can be brewed multiple times, increasing water temperature and steeping time with each next brew. Bi Luo Chun is one of China’s 10 famous teas and is regarded by some as one of the best green teas from China. This particular Bi Luo Chun is grown in the Fujian Province of China. The name of this tea can be translated as ‘Green Snail Spring’. The name of this tea describes it perfectly as it is a green tea, the leaves of which are tightly rolled into spirals resembling snails and the tea is plucked in early spring. The original name for this tea was Xia Sha Ren Xiang, which can be translated as ‘Astounding Fragrance’ or ‘Scary Fragrance’. The legend tells the story of a girl, who discovered this tea. Whilst plucking the tea leaves, she ran out of space in her basket, so naturally she put the tea leaves between her breasts instead. The tea, which got warmed by her body heat produced a strong fragrance, which greatly surprised the girl, hence the name Astounding (or Scary) Fragrance. The Astounding or Scary Fragrance name stuck well due to the wonderful aroma that is characteristic of this tea. This name was changed later by one of the Chinese emperors, who thought that a more elegant Bi Luo Chun or ‘Green Snail Spring’ is a more fitting description for this special tea. We selected this Bi Luo Chun tea for our August Light tea boxes. The green and silver leaves of this tea have a distinctive twisted shape, resembling a small snail. The liquor is pale and very delicate but with a very wonderful fragrant aroma. This tea has a very fresh character that is slightly buttery, zesty, but very refreshing and smooth. It is not dissimilar to a very lightly oxidised oolong. This special Black Mao Jian is a very rare tea that is a take on a Chinese green tea classic. The name Mao Jian refers to the leaves that are used in making this tea and can be roughly translated as ‘Fur Tips’ due to use of a lot of buds in this tea, which have a ‘furry’ appearance. We selected this Black Mao Jian for our August Dark and Mixed subscriptions. The leaves of this tea are slightly twisted and have beautiful black and gold colours. This Mao Jian tea has a slightly unusual fragrance reminiscent of dried berries and rosehips. The liquor produced from this tea is very smooth with a malty, buttery flavour and strong chocolate notes. A very distinctive and unusual tea! You can buy Black Mao Jian tea in our online shop. Mist Valley First Flush is a Nepalese tea grown in the Mist Valley Tea Gardens in Jitpur, Ilam District of Eastern Nepal. Situated high up in the foothills of the Himalayas but close to Darjeeling, Mist Valley Tea Gardens produce some outstanding teas, especially First Flushes plucked in spring of each year. The hills around this area, made famous by Ghurkha armies, possess all necessary attributes for producing top quality tea – height (1,300m or approx. 4,200ft), soil, temperature, air and rainfall all contribute to make some very distinctive teas. 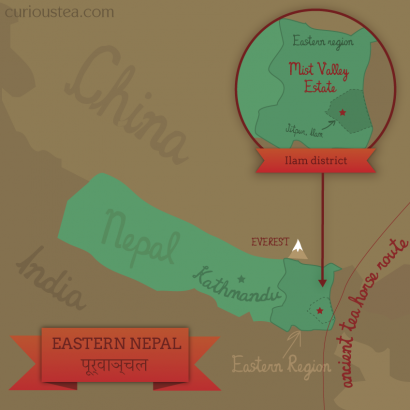 Nepalese tea is not as well known as Darjeeling on the Western market but teas from Nepal are starting to gain popularity in the west. 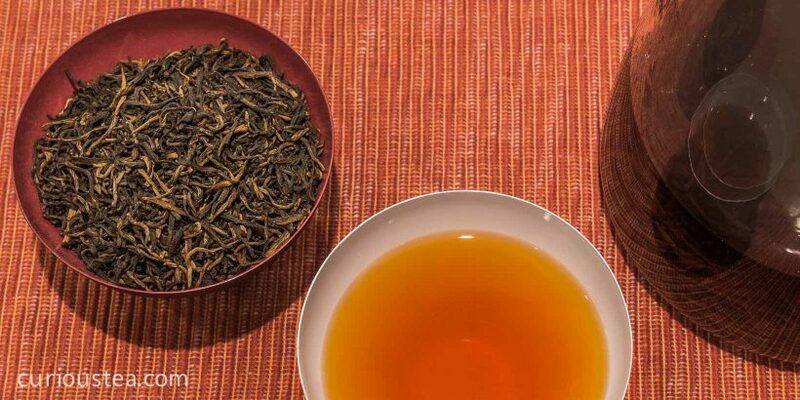 Best Nepalese teas can easily compete with the best Darjeelings in terms of quality and when compared to top tier First Flush Darjeeling counterparts. Also most tea bushes around the Mist Valley Tea Gardens were planted later than those of Darjeeling resulting in younger character and leaf. We selected this Mist Valley First Flush for our August Dark tea boxes. The neat black leaves of this tea produce a light liquor with lovely aroma of dried berries and wild flowers. When brewed the character is similar to a First Flush Darjeeling. The flavour has typical Darjeeling floral tones combining with chalky muscatel notes as well as dryness and slight astringency reminiscent of dandelion. This tea is best brewed at 90°C for 3-5 minutes. We really hope that you enjoyed the tea club selection for August and are looking forward to what we have in store for your September selection. Incidentally, if you do not subscribe to a monthly subscription and would like to receive our future selections, you can sign up to delivered gourmet tea in just a few clicks. We ship worldwide from the UK.